Visitors are small groups that will randomly visit your colony and may or may not carry items to trade. If they do, they often have very few items and silver. Trade caravans are larger groups that carry packs of goods in muffaloes or dromedaries. Caravans have a good but still limited assortment of items. When a visitor or trade caravan shows up at your colony, you will receive a notification. 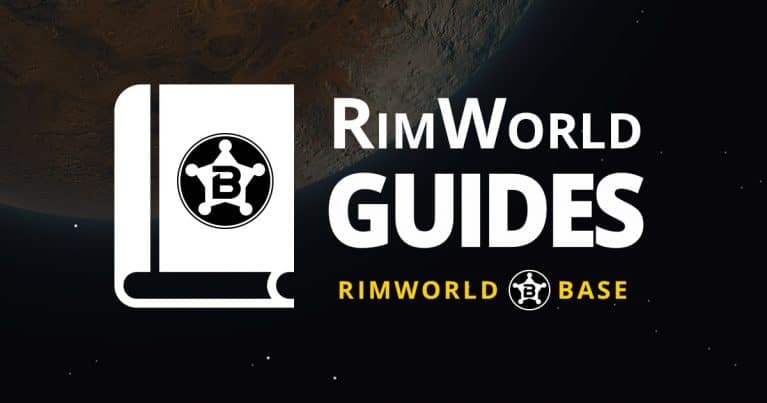 To initiate a trade with them, select a colonist with high social skills and right click the yellow question mark icon that appears above their head. 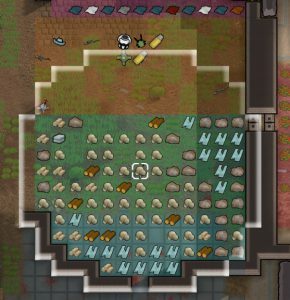 A trade window will pop-up, displaying all items located within the colony’s stockpiles. All items you purchase will appear in the location where the trader stood when the trading was completed. Colonists with higher social skills will negotiate lower buying prices and higher selling prices for everything but the commodities (0.5% per social skill point). Orbital Traders don’t appear physically in your colony. Trading vessels will pass within comms range, and remain there temporarily. 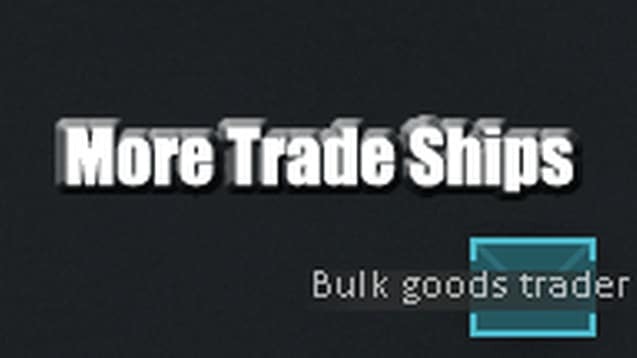 You will receive a blue notification at the right of your screen announcing the trade vessel and its type. You will receive another notification when the vessel is out of range. Before you can trade with Orbital Traders, your colony must have a powered communication console and, at least, one powered orbital trade beacon to communicate with them. To begin the trade event, order a colonist to interact with the comms console (right click) after the alert notification is received. Only items situated within the range of an orbital trade beacon will show up in the trade window. Therefore, the orbital trade beacons should be placed near the stockpile of things you want to trade. You may place multiple beacons to expand the amount of items eligible for trade. If you purchase any item from Orbital Traders, those will be placed to an outdoor beacon zone via drop pods. Or if you don’t have any beacon with outdoor tiles, they will phase through constructed roofs. But if all tiles are inaccessible, the drop pods will appear at the nearest eligible tile to the beacon. Use the More Trade Ships mod to increase your chances to get orbital traders!